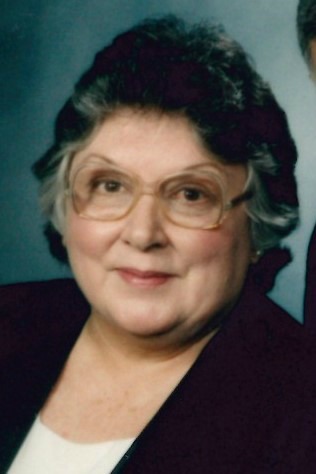 Christine L. Oettel, 86, of Lancaster, passed away on December 19, 2017. She was the loving wife of Robert Oettel. Born in Lancaster, PA, she was the daughter of the late Ralph and Joy (McCartney) Frey. She spent much of her life as a homemaker dedicating herself to her family. In her early years, her hobbies included music, horses and she was an avid artist. In addition to her husband Robert, she is survived by 3 daughters, Patricia Oettel of Thomasville, PA, Jo Saxinger of Auburn, PA and Debra Razzak of Lancaster, PA and a son, Robert Oettel of Mountville, PA; 7 grandchildren and 11 great-grandchildren. Also surviving is a brother Robert Frey of Lancaster and a sister, Helen McCrane of Merchantville, NJ. Relatives and friends are invited to attend a funeral service at DeBord Snyder Funeral Home & Crematory, 141 E. Orange St., Lancaster, PA 17602 on Friday, December 22, 2017 at 11:30 AM with Pastor Matthew Saxinger officiating. Friends may greet the family at the funeral home from 11:00 AM until the time of the service. In lieu of flowers, contributions may be made to the American Heart Assoc., 610 Community Way; Lancaster, PA 17603. Sorry to hear of your loss. Thinking of you and your family. May the Lord Grant you peace and comfort in this time of sorrow.